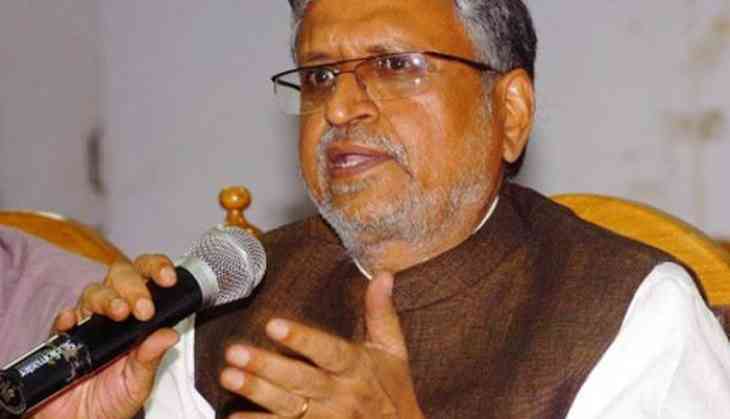 Senior Bharatiya Janata Party (BJP) leader Sushil Kumar Modi on Tuesday said that 'helpless' Janata Dal (United) is asking Congress to convince Bihar Deputy Chief Minister Tejashwi Yadav to resign, who has been named in an F.I.R. Bihar Chief Minister Nitish Kumar met Congress Vice President Rahul Gandhi here a couple of days back. The meeting led to speculation of rift between ruling JD (U) and Rashtriya Janata Dal (RJD) over Tejashwi. Speaking to ANI, Modi said, "It's not just us (BJP) but Nitish Kumar and his party people too are asking for either clarification or suspension of Tejashwi after charges of corruption were proved against him. The JD(U) is not able to convince Tejashwi Yadav to resign, so they are asking Congress to make him do so." He further added, "But, I'm sure that RJD will not give up so soon as it has plans and ideas ready for every question posed". On July 23, the RJD denied all the allegations that there is an air of tension in the 'Grand Alliance'. Speaking to ANI, RJD leader Manoj Jha said that the people in the alliance are together. "Whatever is being said in the media is all speculation and we don't pay much attention to speculation," he said. Recently, the tension between the ' Grand Alliance' of Congress and RJD had grown as Nitish Kumar was facing increasing pressure to oust Tejashwi Yadav from the cabinet after charges of corruption were proved against him. The CBI registered a corruption case against Lalu Yadav, his wife Rabri Devi and son Tejaswi Yadav on allegations of awarding the tender for development, maintenance and operation of hotels in Ranchi and Puri in 2006. The RJD supremo, however, has refuted the allegations against him and called it a political conspiracy hatched by the BJP. Meanwhile, the BJP is mounting pressure on Nitish Kumar to oust Tejashwi yadav from the party.